New Haven, Conn. – Arctic sea ice isn't just threatened by the melting of ice around its edges, a new study has found: Warmer water that originated hundreds of miles away has penetrated deep into the interior of the Arctic. That "archived" heat, currently trapped below the surface, has the potential to melt the region's entire sea-ice pack if it reaches the surface, researchers say. 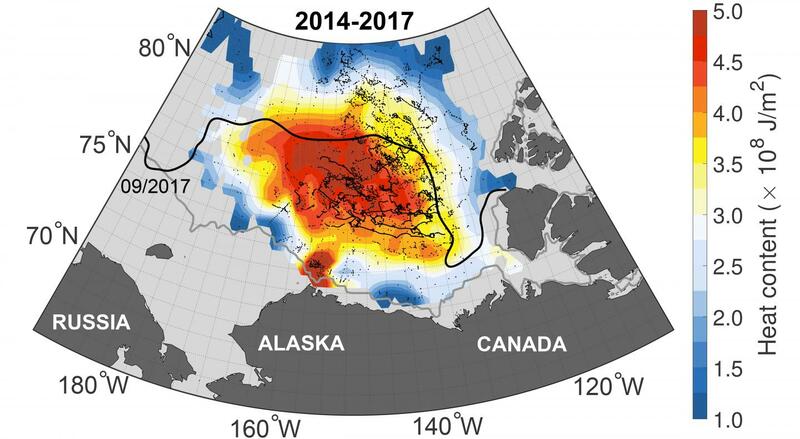 "We document a striking ocean warming in one of the main basins of the interior Arctic Ocean, the Canadian Basin," said lead author Mary-Louise Timmermans, a professor of geology and geophysics at Yale University.